Happy Sunday, especially to @Dekopatchi for cluing me into the most fun Twitter meme in ages! Hers is also the closest I’ve come to winning, including Homuhomu and Rikka who didn’t make my cut here by the narrowest of margins (damn it!). If anyone wins mine, let me know :). 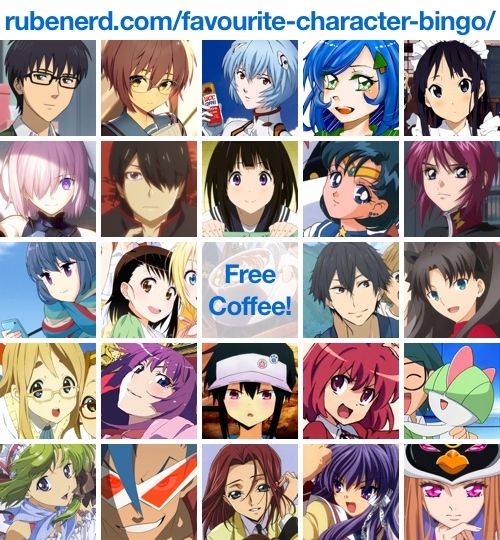 I shuffled each character programmatically to remove any pretence of favouritism. Except then I put Ami and Yuki back towards the top, and Chitanda had to be centred.